From law enforcement to court administration, the use of legal education can be seen in many fields. Different laws have been designed to regulate all kinds of business and social activity. It wouldn't be wrong to accept that a strong legal framework is the basis of every economy. The legal industry has grown in recent years and offers a range of career opportunities to individuals. Not long ago, most people assumed that lawyers and attorneys are the only occupations in this industry. However, with changing technological trends and economic scenarios, the complexity of law has increased. Many different legal experts are in high demand to fulfill jobs positions in various federal and private agencies. This course explains in detail the court structure, judicial selection, and the function of courts. Students will get an insight into what different legal professions exist and what role they play in the industry. Judicial Administration The course highlights local, state, and federal tribunals and court systems. Students learn about the administrative processes and judicial operations. In this course, students analyze laws related to family systems in America. Some key topics covered in this course include custody, divorce, family dissolution, child abuse, and more. This course lays emphasis on laws designed for young offenders and criminals. As we all know, the legal systems for underage adults differs. Topics covered include juvenile court philosophy, adult jurisdiction, types of punishment, and juvenile justice system. This course will shed light upon the law of arrests, seizure, warrant, making of bail, and plea bargaining. Students will come across case law applications and criminal process standards. Students will learn about the law theory and practical aspects of administrative law. Topics covered in this course include administrative law hearing, stages of administrative law proceeding, documentation, briefs, and more. The state and local government course allows students to explore the various functions of governments in the country, racial discrimination, environmental protection, poverty, and policy making are covered in this course. In this course, students learn about laws designed to regulate business organizations, contracts, torts, and product liability. Hone your skills in a specific legal field by completing a law certificate program. The credit hour duration of a certificate in law is likely to vary from school to school. Typically, the requirement will range from 12 to 30 hours. Students can earn these hours by successfully completing all the course components. Students can opt for online law and legal process certifications. Not necessarily do students have to enroll in a campus-based school. Due to many financial or employment restraints, students are unable to attend college. To make sure such students get access to education, schools are offering online certificate programs. You must submit the official transcript of your high school diploma? The admission requirements will depend upon the school you have chosen. All schools have their own admission criteria. According to The Boston Globe, certificate programs are increasing in popularity. These programs offer students a fast and less-expensive path to training for a career. The enrollment of adult learners' in certificate programs has increased in recent years. Employers are looking for certified individuals who constantly upgrade their skill and career knowledge. A certificate in law and legal processes will qualify one for a career in the dynamic law industry, law enforcement, court administration, corrections, homeland security department, and even the military. However, it is important to remember that many other factors such as specialization, degree, and skill set will help determine the career-path ahead. These professionals create word-for-word transcriptions. Court reporters are often employed by courts and legislatures. Legal administrators manage overall operations of a law office. From marketing to budgeting, these professionals perform a range of tasks. Individuals can join the law enforcement sector and work as a police officer. However, formal training from a police academy is required. Corrections officers are required to oversee offenders and inmates in facilities. Q:How many credits are there in the Legality Certificate of Law? A:The Legality Certificate of Law has 30 credits. You can complete these programs through online or campus based schools. The duration of this program is 6 months to 2 years. 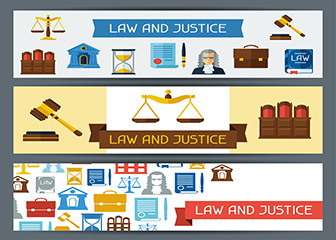 Q:What courses will I study in the certificate in law and legal courses? A:Legal and Law related certificates require a range of subjects that paralegals need to have a command over. These subjects include but are not limited to; Legal Ethics, Evidence and Investigation, Legal Technology, Legal Research, State and Federal Courts, Motion Practice etc. Aside from these subjects, students may choose an elective course to specialize in one facet of the law such as; contract, family, criminal, business, tort and employment. Q:What are the admission requirements for an mba law? A:An MBA program is a graduate level program that requires at least the completion of an undergraduate degree. The undergraduate degree must be in a related field of study such as law, legal studies or criminal justice. Some MBA programs may have GPA requirements and you will be required to fill out and submit a completed application form along with your transcripts of previous studies. Q:What is the difference between an mba and law degree masters? A:Both the MBA and the master's law degree are graduate level degrees that require the completion of a bachelor's degree. An MBA is a master's in business administration and it allows you to hold executive level management positions in organizations and businesses. A master's law degree on the other hand focuses on Law and will allow the graduate to practice law, only after passing the state's bar exam. Q:What can I do with an undergraduate Law Certificate Programs? A:With an undergraduate law certificate programs in law, students can chose to pursue further education in order to be a lawyer. However, with an undergraduate certificate students can work in the following organizations and positions: legal research, human resources, privacy protection, public welfare, civil liberties organizations, judicial administration, police officer, corrections officer and legal assistants.